This is a pickup for 6-string Lap Steel Guitar. Pole piece spacing: 54 mm. Alnico3 bar magnets. P90 style mounting. Wound with Plain Enamel Awg42 magnet wire. The coil is shielded with grounded copper foil to reduce a noise from external electric fields. The sound is bright still retaining warmness. 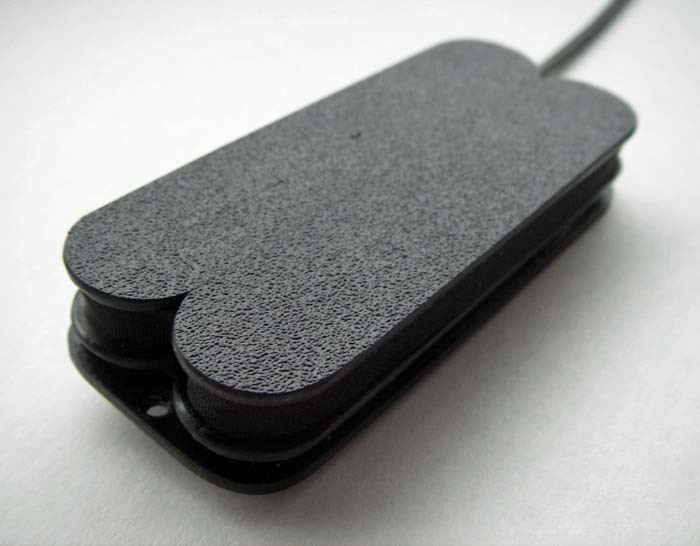 Can be used also as a bridge pickup on a Telecaster with "cut" bridge. ​bridge position. 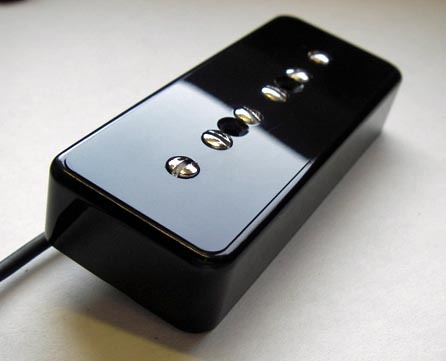 The pickup is hum-free and shielded with grounded copper foil. ​String spacing up to 65 mm can be used.